Based on the experience with unblocking restricted websites I searched for a way how to share openvpn connection from my notebook to other devices especially to Samsung Smart TV & iPhone. The solution which suited me is to share it via WIFI Hotspot from notebook. 1.) Prerequisisment is to have the OpenVPN up and running as described in the article above. 4.) 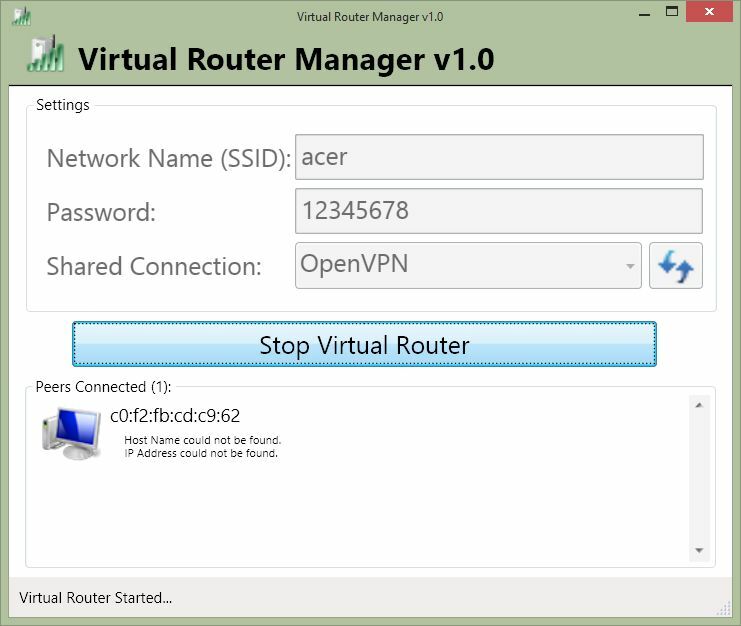 Start the Virtual Router and chose for shared connection the OpenVPN connection. This creates a WIFI hotpost. 5.) Set the TV or iPhone to use the wifi hotpost. In my case called Acer. 6.) Use geo restricted app and enjoy tv shows/movies. In my case 7TV.